The Wild Wool Bunkbarn in Ennerdale, a newly converted barn, provides atmospheric, simple accommodation, in 3 ground-floor rooms. 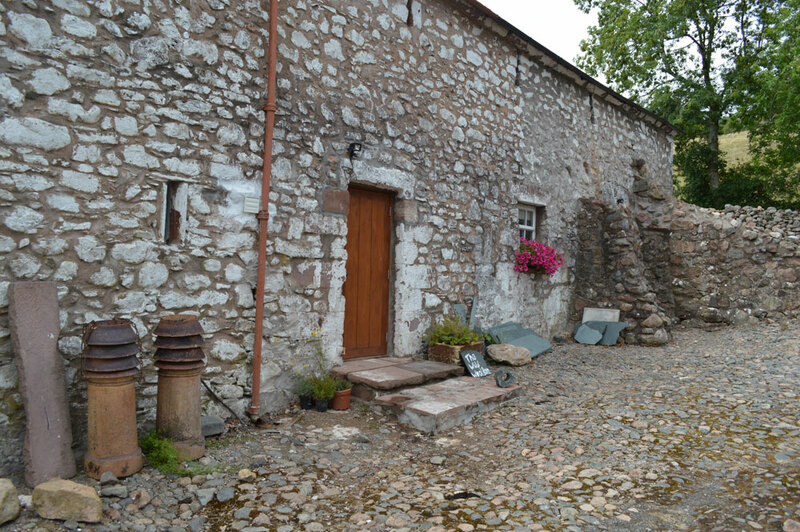 The Wild Wool Barn (Routen Farm) is a luxury bunkhouse in Ennerdale providing accommodation for groups or families of up to 6, staying in a simple, but modern, recently converted Lakeland barn. With its traditional wood-burning stove, slate and wood floors, low beams, electric heating, and shower, it marries tradition with luxury. The barn is overshadowed by Great Bourne, and overlooks Ennerdale Water and Crag Fell, placing it in the heart of fells of the Lake District isolated from the hustle and bustle of everyday life. The Wild Wool Barn is a perfect group stop-off on the Coast to Coast walk, 2 miles from the route of the cycling C2C and as a starting point to explore the 15 peaks of the Ennerdale Horseshoe. The village of Ennerdale Bridge is just 2.5 miles away with two pubs and a cafe. It is just 25 minutes from Whitehaven, Workington, and Cockermouth, for supermarkets and supplies and is close to local attractions such as Muncaster Castle, Ravenglass railway and Maryport Aquarium. 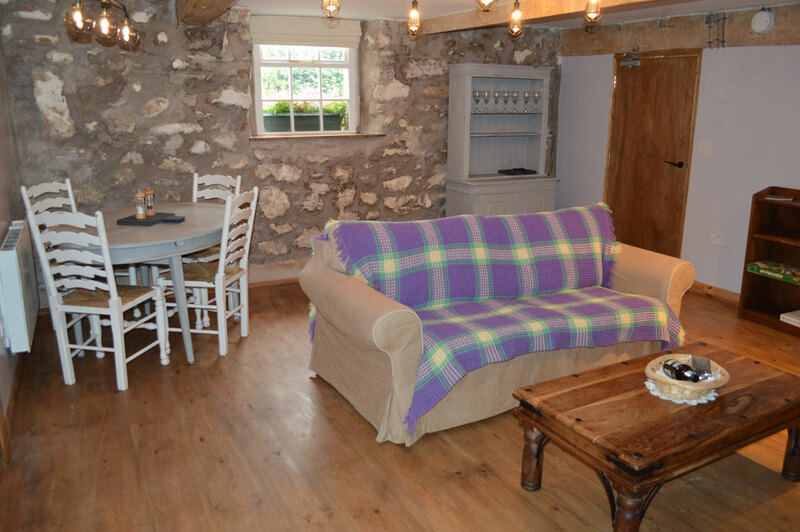 The Wild Wool Barn the perfect base for exploring, both this hidden gem of The Lake District and The Cumbrian Coast. The Wild Wool Barn is truly a place to get away from it all. The bedroom sleeps 6 in bunk beds with seasonal camping space for an extra 6 people. 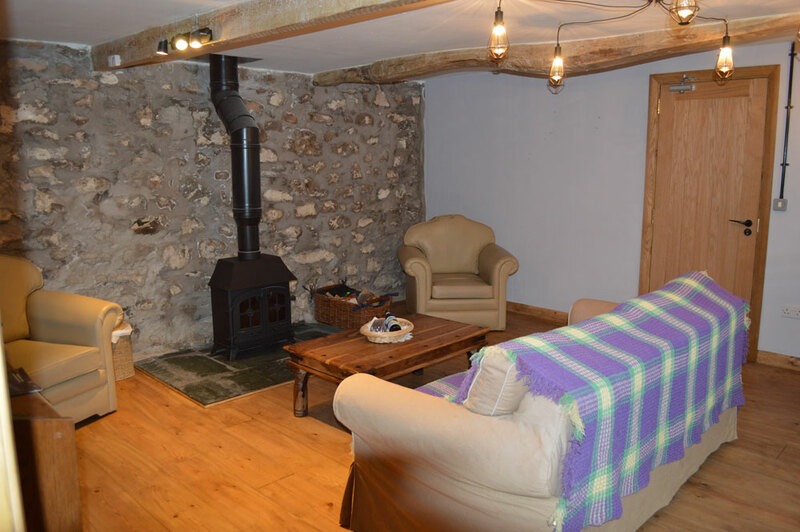 The comfortable living and dining area is well furnished with traditional wood-burning stove and fireplace, built with traditional slate from the nearby Honister Slate mine and has electric heaters for extra all year round warmth. The kitchen has a 2-ring electric cooker, fridge and microwave. Slate-clad electric shower and toilets complete the traditional feel. Toilets and shower are shared with campers. If you don’t fancy cooking, breakfast can be ordered at the time of booking, and shopping can be delivered by the major supermarkets. 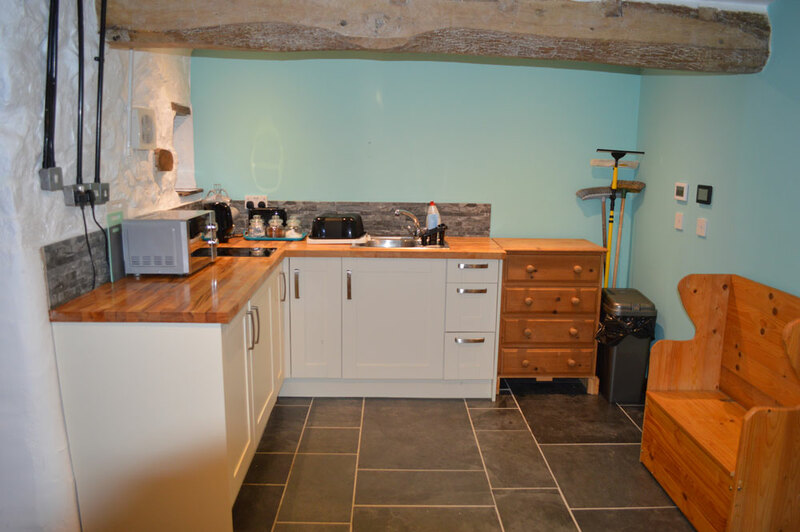 All crockery and utensils, linen, hot water and electric heating are provided. 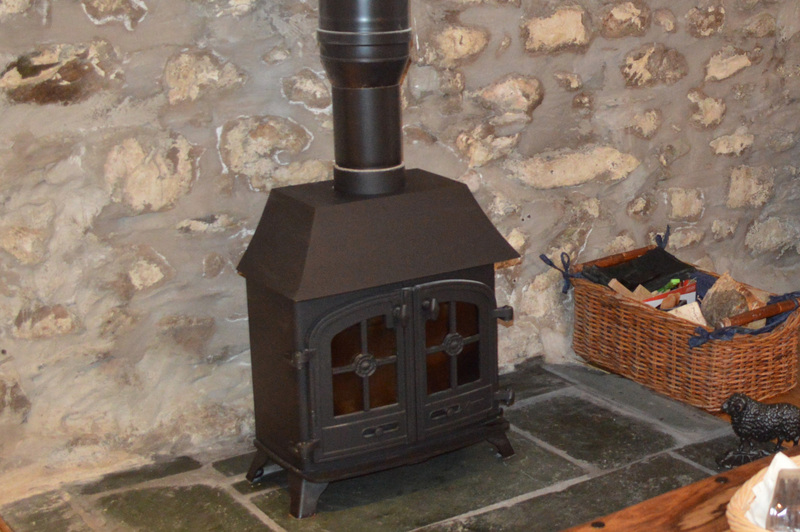 An initial basket of logs is supplied for the log burner, and extra wood can be purchased as required. Linen hire is included in the price. Towels can be hired on request. To the front and rear of the barn you can enjoy stunning 360° views of Ennerdale Water, the surrounding mountains, and valley. Seating areas on the cobbled patio and grassed areas are perfect for an evening bar-b-que or to enjoy a drink as the sun sets over the water. Behind the barn we offer a small exclusive camping area for a limited number of tents. There is space for parking 2 cars – (more by arrangement). You can walk, run or ride a bike directly from the barn onto the peaceful bridleways and forest tracks around Ennerdale Water. Without using your car you can access the surrounding fells of the Ennerdale Horseshoe, with views into Buttermere, Wasdale, and the Central Fells. More than 6 in your group? Why not bring along some tents? To the back of the Wild Wool Barn with stunning views of the lake and Crag Fell we offer an unrivalled camping experience. Limited to just 6 campers max, you will enjoy a unique and exclusive camping experience. Camping is only available for a limited time each year. Please phone for availability and bookings. 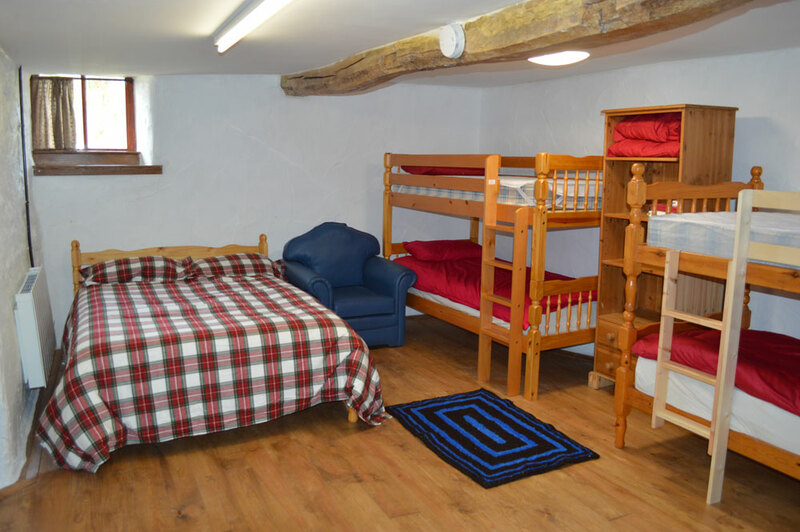 We can also offer flexible bedding in the barn with a pull out sofa or extra matresses, just choose “Large Group 6+” when booking. Booking. The Bunk-barn can only be booked by groups of up to 6 people, with an option of adding 6 more people camping for an extra 40% charge, (chose “Large Group 6 + camping” when booking). If you are booking at the last minute it is essential that you telephone 01946 861270 and leave a message to say that a booking has been made. This is because living in a remote and beautiful location our broadband and mobile signals are intermittent. Thank you for your patience with this extra step. NOTE – The bathroom facilities in the barn are shared with campers (up to 6 on a limited use basis). 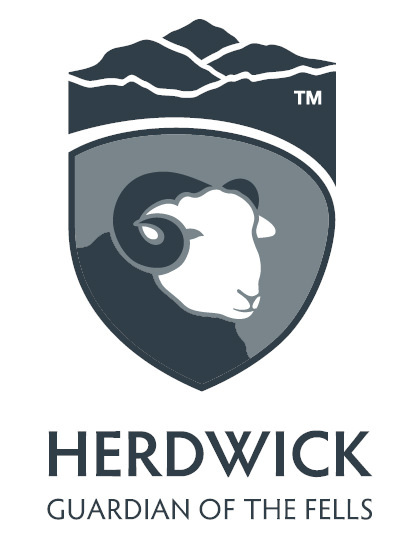 If you require exclusive use of the Wild Wool Barn, this can be arranged if there are no existing camping bookings at the same 40% surcharge as the Large Group. Please give me a ring on 01946 861270 to discuss availability if you require exclusive use.